The Proverbial Needle in a Haystack - ABI Document Support Services, Inc. - ABI Document Support Services, Inc. In our personal lives, many of us have experienced the panic of needing to find something quickly, but we’re unable to put our fingers on it. This is often a familiar scenario in our professional lives as well. 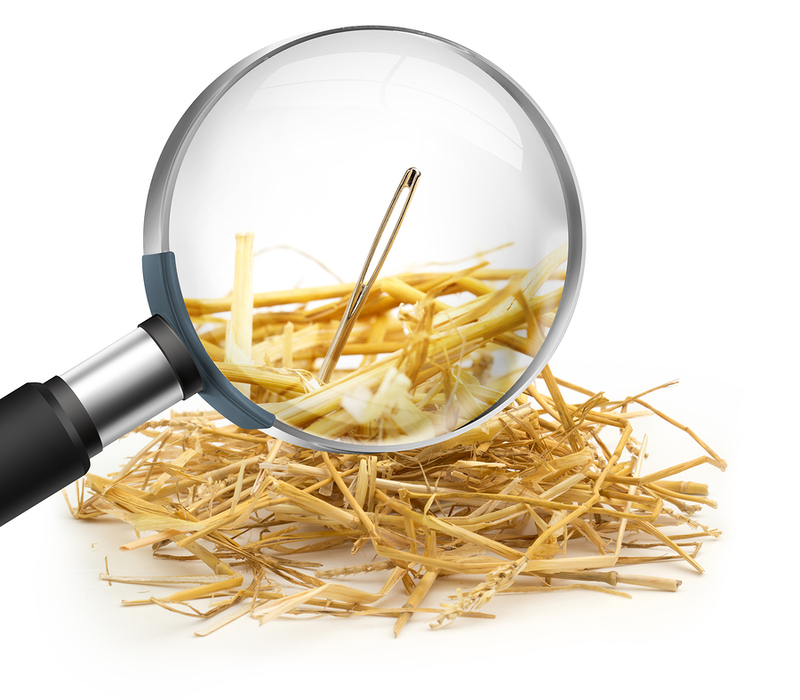 When that “needle in a haystack” is a specific medical bill, a piece of correspondence, or any other document needed quickly for deposition or trial, often an “all hands on deck” search begins to find the critical information before time runs out. Optical character recognition (OCR) technology, like that built into the eSummary by ABI™ tool, can eliminate this worry. OCR software turns printed text, like that found in medical records and billing documents, into computer-readable text. Rather than combing through boxes or binders full of paper files, OCR search allows the user to type a specific keyword such as “Vicodin” or “shoulder” and identify all documents that contain the given word printed on a single document in seconds. That could mean a re-review of only a few documents in a pinch to find the needed information, rather than volumes of records in a complex case. A group of eight paralegals and attorneys were asked to find three specific pages from a stack of 250 documents in a controlled testing environment. Using the OCR search function in ABI’s web-based tool, participants found all three documents in an average of 14 minutes. When asked how long the same task would take using their current processes, participants projected 117 minutes to complete this task. When time is short and tension is high, 100 extra minutes may mean the difference between making and missing a major deadline. ABI Document Support Service’s provides the OCR search tool to all ABI clients who use ABI’s nationwide record retrieval services at no additional charge. Simply login at abidss.com and click on the eSummary by ABI icon to enter the web-based program and click “search.” Enter the specific word or phrase you need to identify and click enter to populate the results in seconds.